Botox and APS Year Doctors | Doctors Defence Service – UK. Botox and similar cosmetic products are prescription only medicines (POM). Doctors who are required by the General Medical Council (GMC) to practice in Approved Practice Settings (APSs) were not authorised to privately prescribe POM medicines in any environment outside of the APS under restrictions in place in early 2013. However, that position has now changed, so long as the doctor is working for a designated body and can justify prescribing the drug. For more guidance on the APS requirements, see the GMC APS Frequently Asked Questions (FAQs) page. Doctors Defence Service (DDS) assists medical doctors who are registered with the General Medical Council (GMC) in the United Kingdom (UK) and also those doctors from abroad who wish to register and practise as doctors in the UK. Doctors Defence Service also assists doctors in relation to all other legal issues arising from daily practice and operating businesses in the clinical arena. DDS represents doctors in FTP and IOP GMC proceedings, at inquests, in general civil cases, in commercial and contract law, in revalidation matters, and employment law. 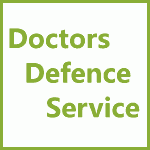 Doctors Defence Service can be contacted on 0800 10 88 739. We have main offices in London, Manchester, and Telford. We cover most other UK regions too.